Drones that can be used for surveillance, rockets that can put satellites into space, 3D printing machines that can make aircraft parts and technologies that can solve the problem of connectivity by beaming high-bandwidth internet from space — these were some of the innovations on display by start-ups at Aero India 2019, the biennial air show that started on Wednesday. However, the young ventures said they face many challenges including competing with large defence companies. They urged the government to provide support in terms of funding, incentives and policies which are friendly for small firms. “What is needed is a support for local initiatives. But there are so many foreign companies here,” said Sai Pattabiram, founder of Zuppa, a Chennai-based firm which has developed the first-ever unmanned traffic monitoring system. The device embedded inside the drones can be used to monitor and track flights of unmanned aerial vehicles (UAVs). He said this was the first step in creating an indigenous drone ecosystem to counter the risks from an estimated 500,000, mostly China-made, illegal drones in India. Pattabiram is in discussions with the government and hopes that his system would be used, as there are a multitude of possible ways that unregulated drones may cause security threat and disruptions in the country. Experts say that start-ups and small firms can play a key role in helping the country with indigenisation in the defence sector. India was the world’s largest importer of major arms in 2013–17 and accounted for 12 per cent of the global total, according to Sweden-based Stockholm International Peace Research Institute (SIPRI). The imports increased by 24 per cent between 2008–12 and 2013–17. 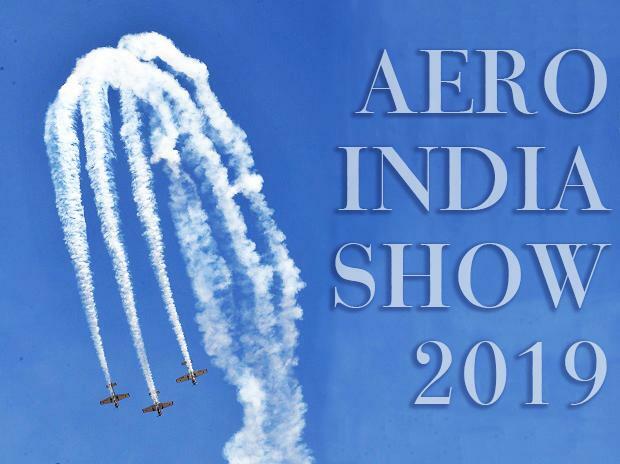 “Start-ups are making a very big difference to the aerospace industry,” said Defence minister Nirmala Sitharaman, while addressing hundreds of foreign and Indian delegations comprising global defence companies, government officials and industry leaders at the 12th edition of Aero India. “Young start-ups are very much replicating all that is happening in Israel and are making sure that through innovation they can contribute,” she said. But entrepreneurs want more action on the ground from the government. “The government should earmark at least 20 per cent of its defence Budget only for small and medium companies,” said Ravi Shankar S N, Managing Director of Accreate Additive Labs, a design innovation and 3D print-services company catering to the aerospace and defence industry. Rohan M Ganapathy, the co-founder of Bellatrix Aerospace, said right now there is “no clarity on space law” and this needs to be addressed to make it easy for small companies to operate in such a sensitive sector. “Otherwise there is no surety,” said Ganapathy, chief executive officer (CEO) of the Bengaluru-based Bellatrix which is developing orbital launch vehicles (rockets) and electric propulsion systems for satellites. It is aiming to reduce satellite mission cost through its patented systems. Dhinesh Kanagaraj, CEO and founder of Chennai-based Fabheads, said his start-up has automated the fabrication process and developed a 3D printer to print carbon fibre parts. The innovation enables it to provide advanced manufacturing processes that can make carbon fibre parts for aircraft like drones that are as strong as steel and as light as aluminium. “We have already built the technology, but we want the government’s help to scale it up,” said Kanagaraj. The goal of Astrome, which could potentially compete globally with tech entrepreneur Elon Musk’s SpaceX, too is to solve the problem of connectivity by beaming high bandwidth internet from space. It is developing a technology that it says would cut the cost of internet access through satellites by 12 times. It plans to launch 200 satellites in the next few years to low-earth-orbit to beam reliable internet to people living in small towns and villages. Srinath Ravichandran, co-founder and CEO at aerospace firm AgniKul Cosmos, said there should also be some government initiative to create awareness that start-ups are capable of doing important projects and should get support from everyone, especially suppliers and investors. “If you are a hardware start-up it is less easy to get funding compared to a software firm,” said Ravichandran whose firm is building an orbital class launch vehicle that can take small satellites to orbit.